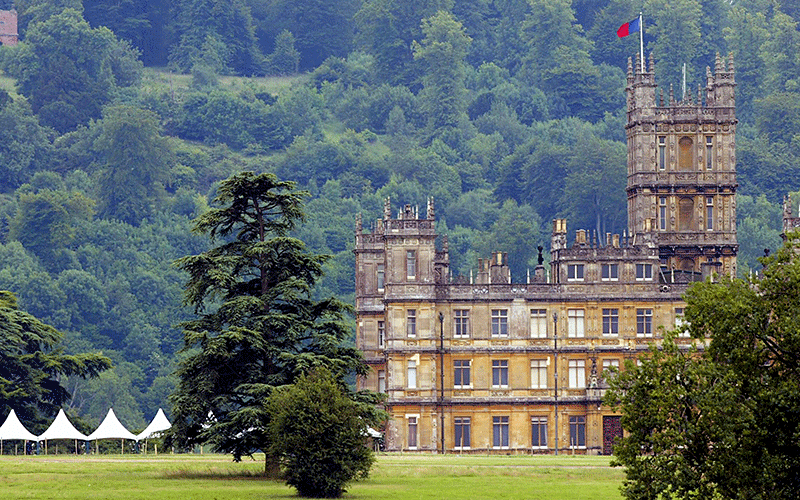 Three years after the series finale aired on Christmas Day in the UK, attracting 6.9 viewers to their screens, Highclere Castle, which doubles as the fictional residence for the upper-crust Crawley family, is hosting a pair of Christmas dinners for the public. They’ll then sit down to a three-course Christmas meal that includes salmon and avocado salad, roast turkey breast with the fixings before being capped off with the traditional British dessert Christmas pudding. The package for Dec 15 is in partnership with Premium Tours. On December 18, the real owners of the estate, the Earl and Countess of Carnarvon, host a charity dinner for the Royal Air Force that will include a similar itinerary. Meanwhile, the cast and crew of the period drama returned to the castle earlier this fall to film a new “Downton Abbey” movie that is set to hit screens in September, 2019. Tickets for the Dec 15 event are priced from £119 for adults, tickets for the charity dinner at £120.